Rewatching the James Bond films chronologically. Here we are at the end (until they make another), so it’s only appropriate that this is the one that really gets at the heart of who our super-spying hero is. 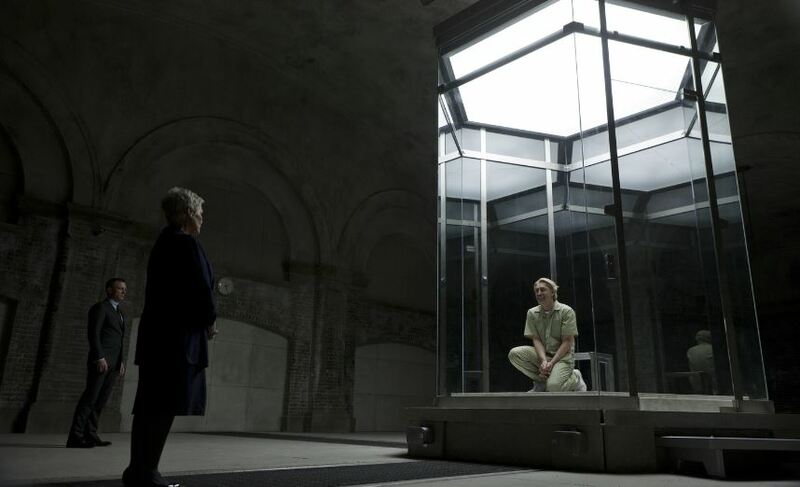 It’s 2012’s Skyfall. Blond blurb: Bond and MI6 are under fire when a list of international undercover operatives is stolen. The culprit is “Mr. Silva,” a former MI6 agent with a very personal axe to grind. He believes (half-truthfully?) that MI6 are not the good guys they profess to be. He sees himself, M., and Bond as a family of sorts, as the last of their kind in an ever-changing world of intelligence and espionage. As such, the trail leads not exotic foreign locales, but back home — to the place Bond was born. Bond baddies: There’s a lot of weirdness around Silva, like his CGI-enhanced fake teeth and a scene where he tries to seduce Bond. What to make of that? 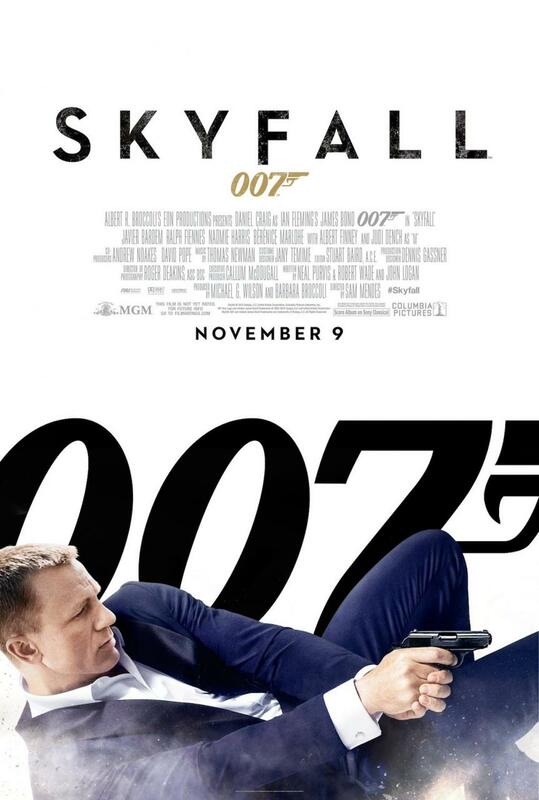 Is he merely trying to catch Bond off guard, is there really an attraction there? Bond babes: Bond romances a woman named Severine to get closer to the stolen info. The real relationships in this one, though, is between Bond and M., and Bond and a feisty female rookie agent whose identity is revealed at the end of the movie. Bond best brains: There’s a new Q., who says the days of gadgets are over, and all Bond needs is a gun and a radio. Bond won’t have that, because during the finale Bond whips up some “things that look like other things” gadgets of his own, to go all Home Alone on his attackers. Bond bash-ups: Because lots of action movies have guys riding motorbikes on the backs of trains, Skyfall gives us Bond driving huge construction equipment on the back of a train, tearing it apart in pursuit of a henchman. There’s a stylish fight in Shanghai lit by huge electric signs, and a brawl in a nightclub that ends with someone getting fed to a Komodo dragon. (Skyfall becomes a Roger Moore Bond movie for those two or so minutes.) There’s a tense foot chase through the subway as Silva escapes MI6, followed by a surprisingly low tech finale that has guys with shotguns raiding Bond’s old home. It’s the opposite of the raid-the-villain’s-gigantic-base that ends so many other Bond flicks. Bond bygones: OK, who didn’t completely flip out when they showed that car? I mean, THAT CAR. Bond baggage: Talk of cyber crime and information sharing evokes the explosion of — and concerns about — social media. Newscaster Wolf Blitzer cameos as himself, delivering a news report. 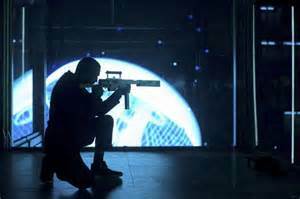 Bond babble: It was an enormous risk taking the franchise in this direction after 23 films, but it’s a risk that paid off. Not only is there personal stakes and deep character development for Bond and M., but this exists within a terrific blockbuster action movie. Some people have said that should be the end of the series. 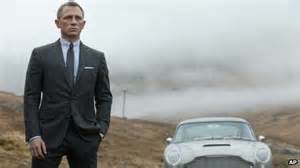 I thought that once, too, but upon this rewatch I’m excited to see where’s James Bond’s story takes him next. Next week: A Bond look back.